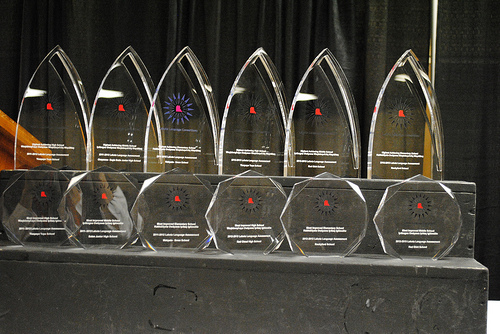 Language-Learning Trophies awarded in 2013. Four Lakota tribal schools have emerged from the 2013-2014 school year showing real strength in teaching the language. Comparison of test scores between the September 2013 pre-testing and May 2014 post-testing proves that students at all grade levels are improving and advancing. Kili! These schools will be recognized with awards at the upcoming Lakota-Dakota Language Summit October 10-12 in Rapid City, SD.